St. Martin’s Press edition (1962). Design: Tom O’Brien. 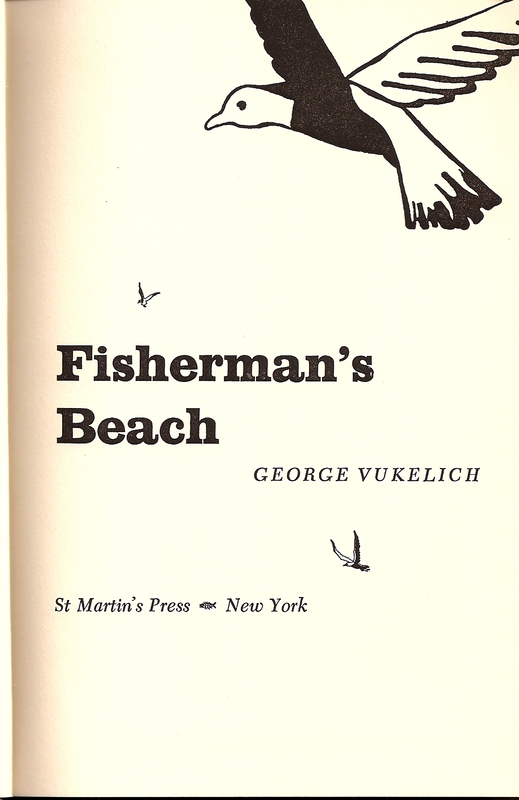 Pictured here is the cover to the 1962 St. Martin’s Press edition of Fisherman’s Beach by Wisconsin writer George Vukelich (1927-1995). Vukelich reprinted the novel in 1990 under his own North Country Press imprint, with a new cover, but using what appear to have been either the original printer’s plates of the inside pages or, more likely, newly shot photo-offset reproductions from the earlier edition. Cambridge Book Review Press is currently preparing an ebook edition of Fisherman’s Beach for release in spring 2012. The ebook will include a new introduction (by a Madison notable and Vukelich friend who we’re keeping a surprise for a while longer). Also included will be photos of Two Rivers, Wisconsin, where the novel is set, by fine arts photographer Thomas J. King. 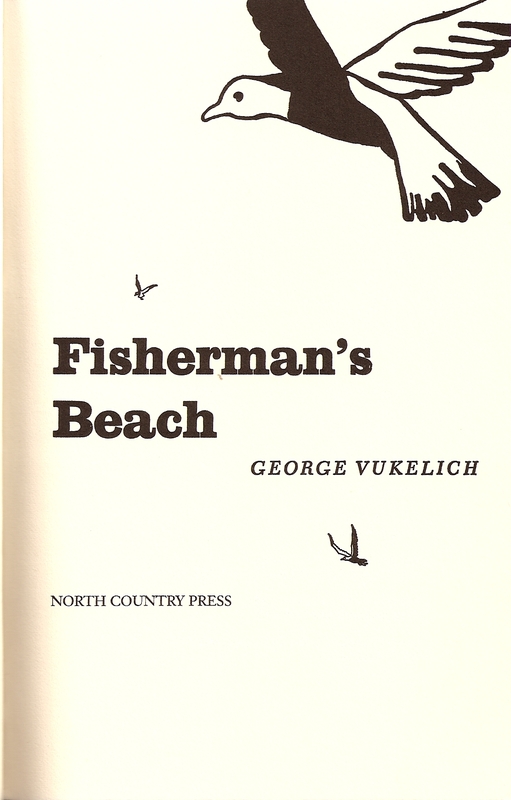 There’ll be additional supplemental material in the ebook, as well, such as a biographical sketch of George Vukelich by James P. Roberts, and a study guide that should make Fisherman’s Beach perfect for reading groups and classrooms. Old Man LeMere was dying upstairs. He was a tough old gull, but nobody lives forever. Downstairs, Roger, his second son, was waiting to inherit the fisherman’s beach. He could not afford to wait long. The lamprey eels from the ocean were destroying the trout of Lake Michigan, and the fishermen were powerless to stop them. Also he was afraid of Germaine. Germaine was the eldest son. He had left the family and the Church. He was a major, stationed in Europe, who had come home for the first time in many years when he heard of his father’s illness. The Old Man wanted Germaine to take over the beach. Roger—ambitious, brutal, suspicious—knew it and would not believe that Germaine wanted no part of the inheritance. Nor would Roger believe that Germaine had not come home to reclaim Ginny Dussault, Germaine’s high school sweetheart who, despairing of Gemaine’s return, had allowed Roger to become her lover. From these elements George Vukelich has woven a first novel of astonishing power. He is a poet and his descriptions of the changing seasons on the lake shore of his native Wisconsin are woven with a lyricism too seldom found in contemporary writing. He is also a keen student of humanity—its frailties and its strengths. Fisherman’s Beach gives an unforgettable picture of a family of strong characters, closely united yet at war among themselves. 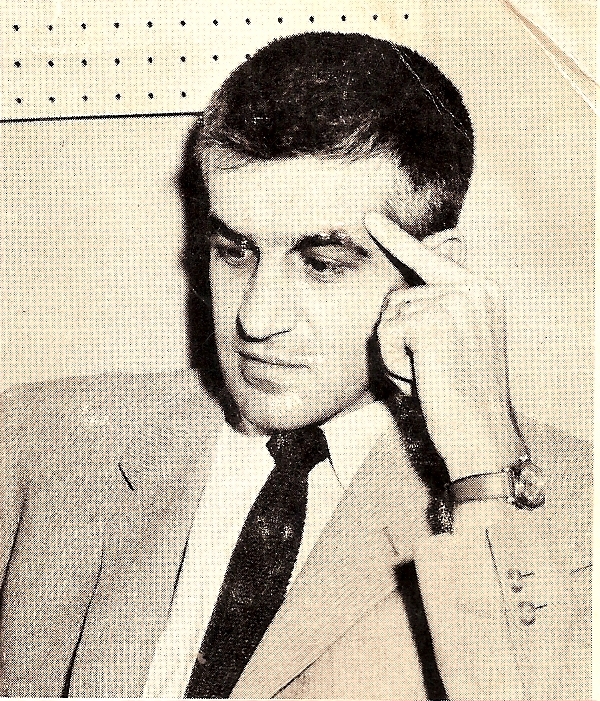 Author photo of George Vukelich from 1962. No photographer credited. Mr. Vukelich is best known in Wisconsin as “Papa Hambone,” a disc jockey with the top rated night-time program in the Madison area. He writes “I’ve become a split personality to further a writing career. 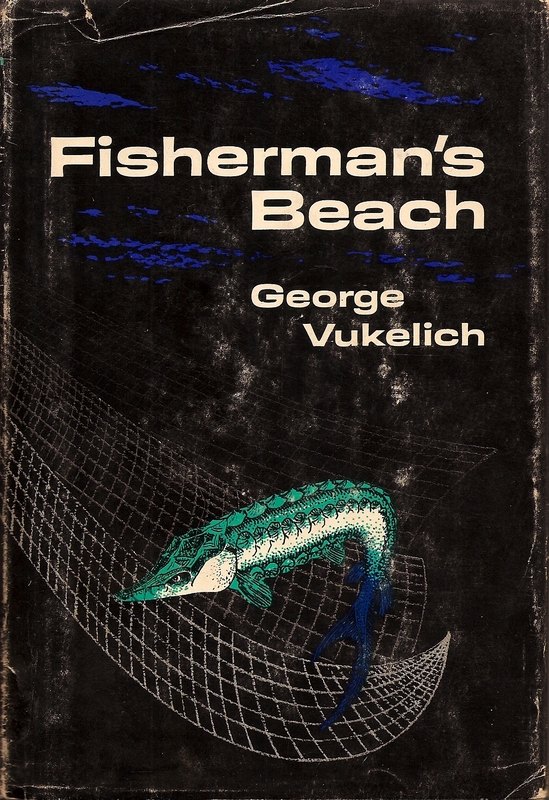 ‘Papa Hambone’ buys the groceries, meets the mortgage payments and maintains the menage; George Vukelich simply tries to write the best first novel of which he is capable.” George Vukelich also spent a year as a creative writing instructor at the University of Wisconsin, and another as a merchant seaman. His poetry and short stories have been published in many magazines, including The Atlantic Monthly and Botteghe Oscure. Title page: North Country Press 1990. Title Page: St. Martin Press 1962.